Choosing a font is no walk in the park. The typeface you choose can make or break your project. It’s very important to use a font that conveys the same message as your text, and that flows well with the rest of your design. Now that we’ve established the importance of a good font for your project, we can turn our attention to another, more pressing issue: where do we get our fonts? 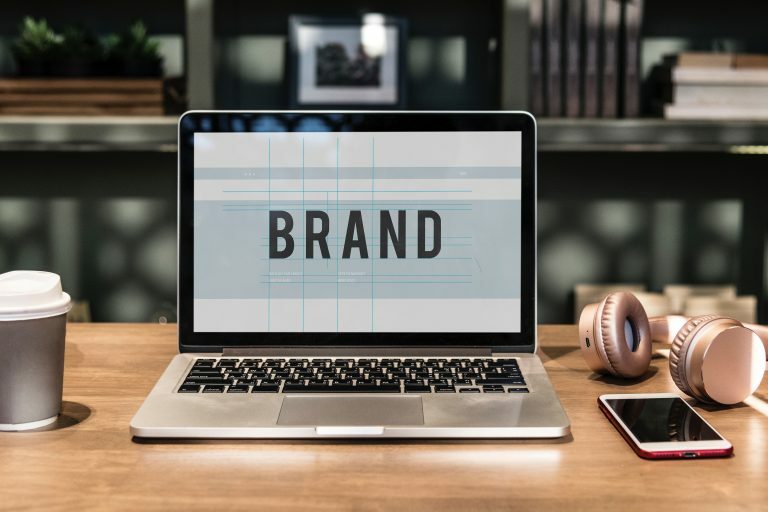 There are numerous sites where you can buy your fonts, but some of them are pretty expensive and it may not be an option to purchase fonts all the time for all the variants you want to try on your logo or copy. 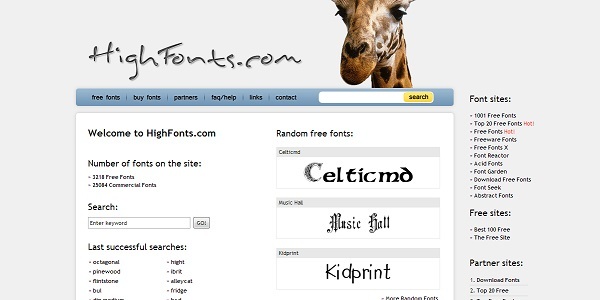 Luckily, there are plenty of places on the Internet where you can download fonts for free. 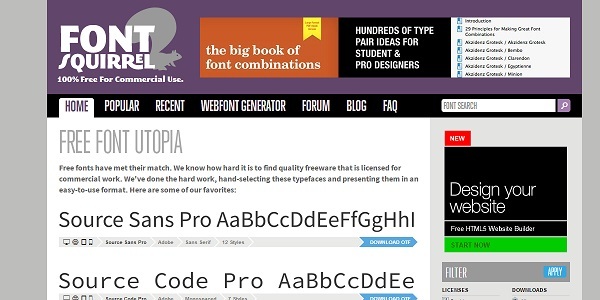 What follows is a list of 30 good spots from the Web where you can get free fonts. While not all the fonts on these websites allow for commercial use, there are quite a lot that do. 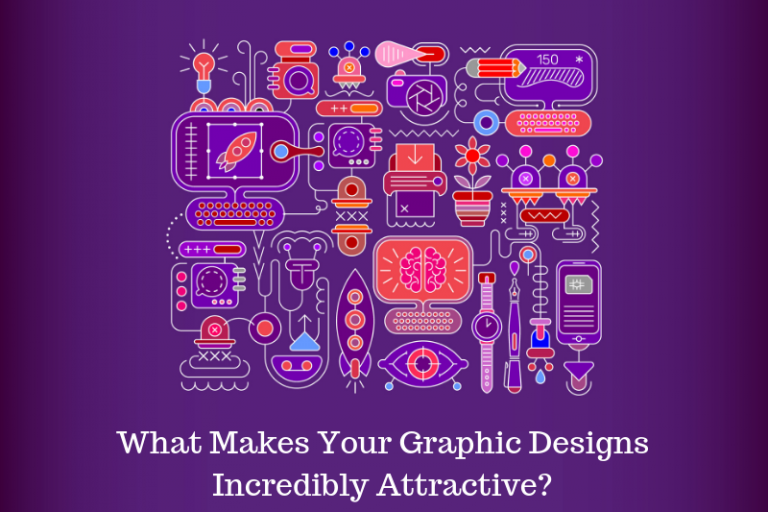 Take a look through at least some of these websites and see what you think of them. Fontfabric is a very cool website that showcases its fonts with very nice-looking typography artwork, thus letting you know what you could do with the font. Each font comes with suggestions on where it works best and most of the fonts have one or two styles that you can download for free, while the rest is pay-to-download. 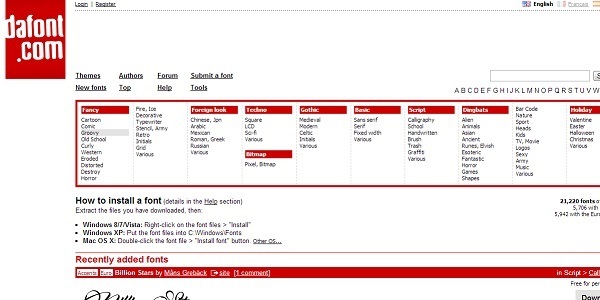 Fontex is a good site that has a lot of typography resources. On the downside, the website itself is kind of buggy, and, while it boasts having a preview the font in action option, this option is completely disabled for most of the random fonts we’ve given a try. 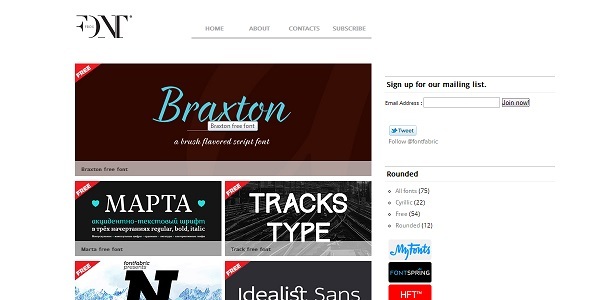 You should check them out, but they’re probably not the best free font website out there. 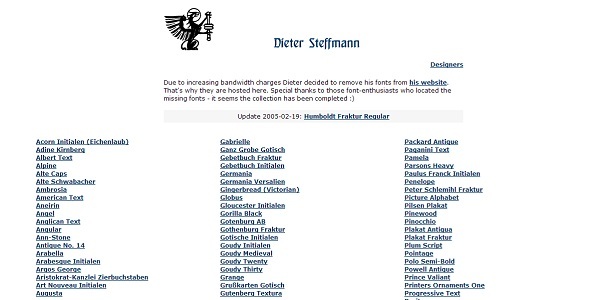 No list of free font websites would be complete without at least a mention of DaFont. The website has thousands of free fonts that you can download and you can browse them all in the usual ways (by style, name, popularity, author etc), and has a selections of tools you can use to manage and create your own fonts. The website is available in three languages, English, French and Spanish. 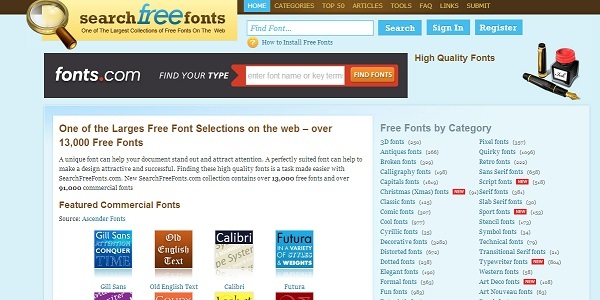 This website has over twenty thousand free fonts, a very good categorization of them and a good search function. 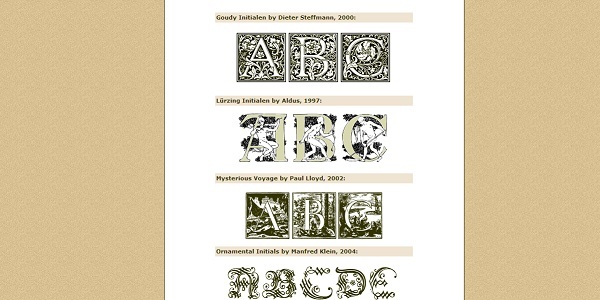 Definitely worth a look into whenever you’re looking for a font. It’s also noteworthy that, like DaFont, Fonts2U is available in several languages. FontReactor is a pretty cool site that has a good selection of fonts. 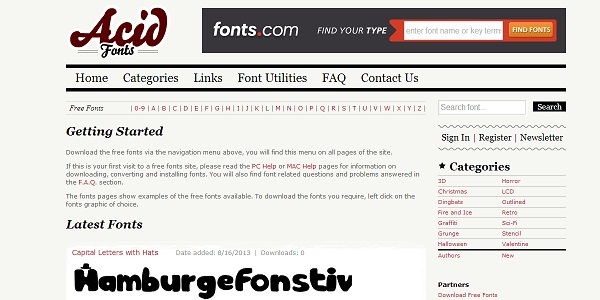 It features a helpful test area beneath each font where you can try out the font on the text of your choice. It features all the standard browsing methods and is available in several languages, including Spanish, Italian, Japanese, Korean, Russian or Chinese (Simplified). 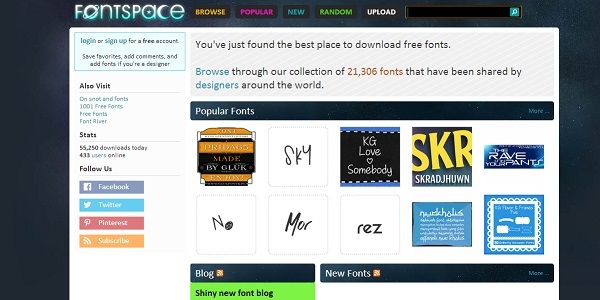 FontSpace has a different approach to fonts: it’s a community-based site, where designers and users alike can upload their fonts and browse over twenty thousand fonts in over 14 000 categories. Definitely worth looking into. 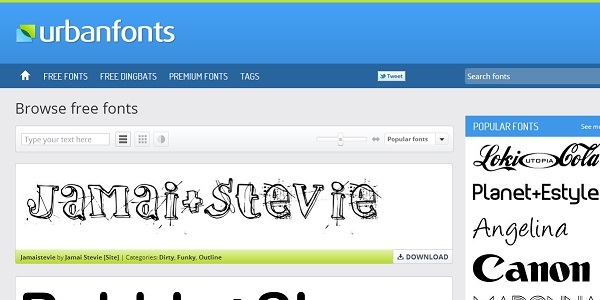 Fontsy now has almost 15 000 fonts, each of which can be previewed in various sizes, commented on and rated. 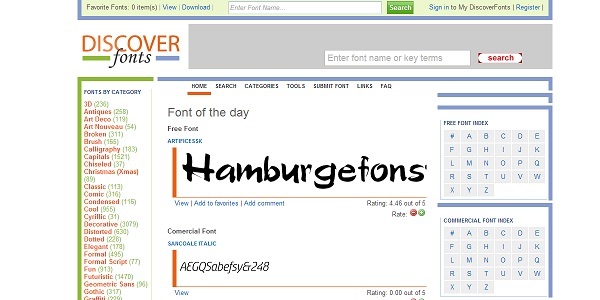 Discover Fonts has a large selection of fonts, both free and commercial, that can be browsed by name, category or by tag cloud. 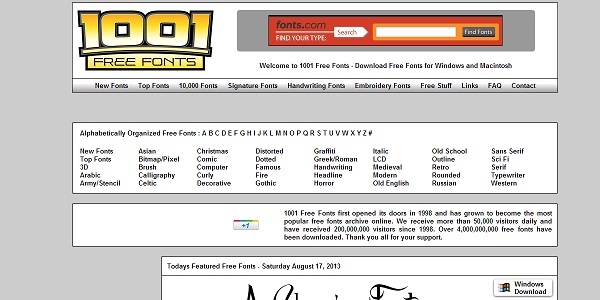 1001 Free Fonts has over 10 000 fonts that are all free to download individually or all at once for a fee of $20. Definitely worth checking out! 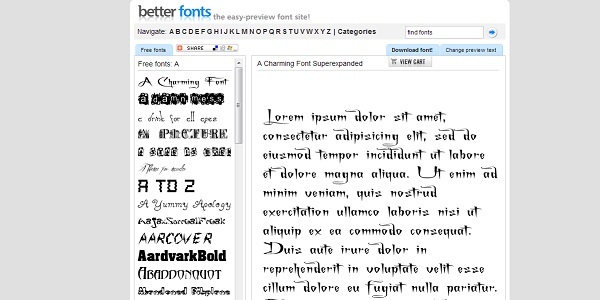 Better Fonts is a great site with a good selection of free fonts that you can preview. Go ahead and give their site a spin. 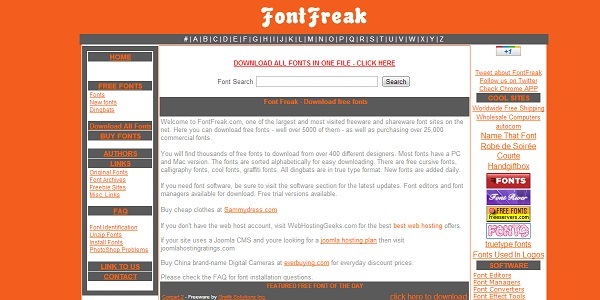 FontFreak has well over five thousand fonts from over four hundred designers that are completely free to download individually and also available for download in one large file for the price of $7.95. 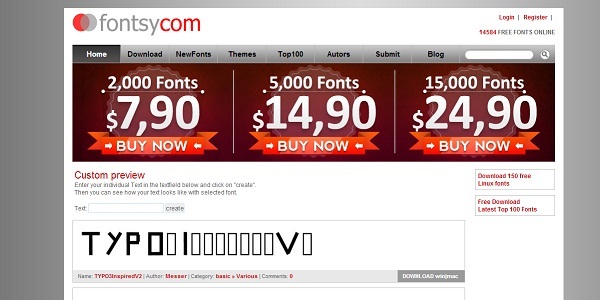 In addition to that, they also have over 25 000 premium fonts that you can buy. 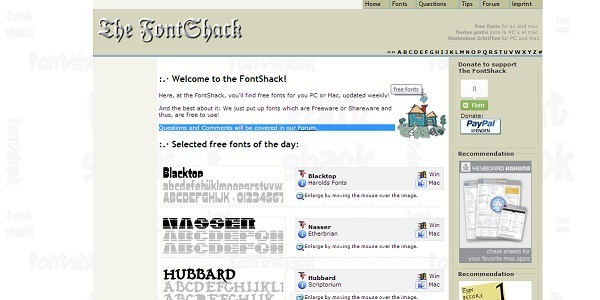 FontShack is a great font site. What it lacks in size, it makes up for in quality. That is to say, while it may not have as many fonts as some of the other sites on this list, it certainly has better quality control of the fonts it does feature. 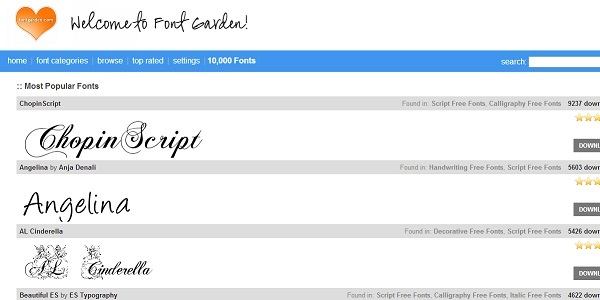 Font Garden is a website that features a lot of free fonts that you can browse by name, popularity or category. 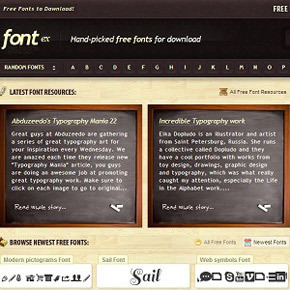 HighFonts has a lot of free fonts and one-click download. Definitely worth taking the time to check this one out. AcidFonts has thousands of free fonts free for download, not to mention a bunch of nifty font tools and utilities that you can buy. This is by far one of our favorites. FontSquirrel has a bunch of free fonts that are very well picked and that are all licensed for commercial use. Their website is easy to use and also features a forum and a blog. If you only try one website from this list, do make sure that it’s this one! 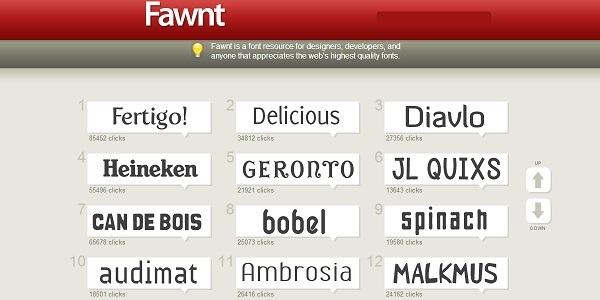 Fawnt is a great site that has a lot of fonts (over 10 000) and that really works on making the best fonts the most accessible by featuring them right on it’s front page. This site features fonts that are closer to illustration in themselves, like Blackletter Initials, Roman Initials and Ornaments. 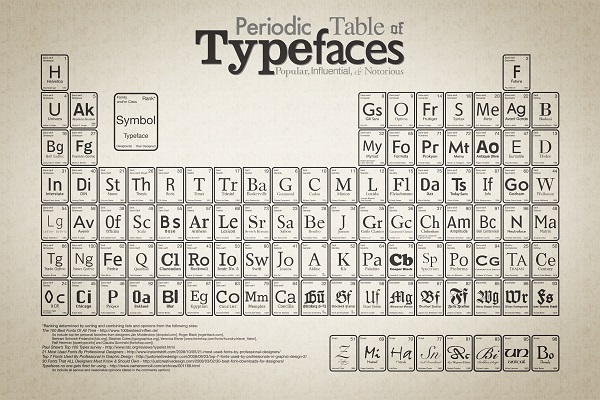 This is a very cool resource for classic typefaces, so don’t hesitate to check it out. This is a cool site that features a bunch of free fonts. While it doesn’t have anything to really make it stand out from the rest, it’s pretty sturdy and has some good fonts on there. This is a great personal collection of classic fonts. They may not be new, but they sure do look good. Go ahead and check them out! UrbanFonts is a pretty neat website, albeit a bit on the small side, that offers a good selection of fonts. 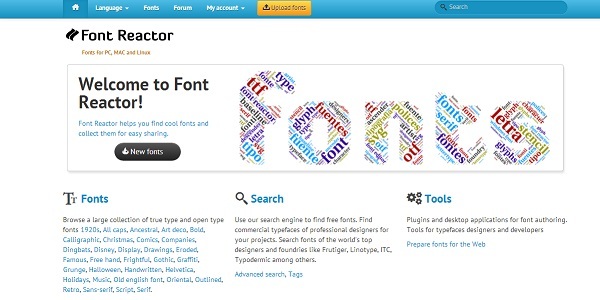 SearchFreeFonts has over 13 000 fonts in a lot of categories. It’s a very useful resource. NeatFonts may not be as large as some of the other websites featured in this article, but it’s got a good selection of fonts and may have that special font you’re looking for. 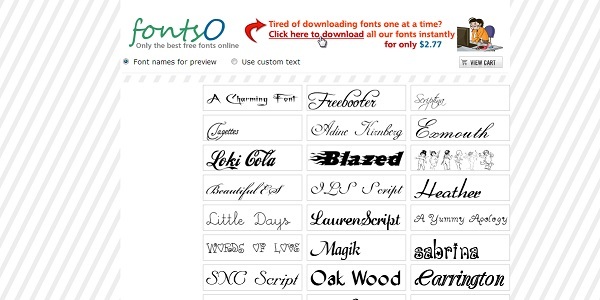 FontsO lets you download any of its fonts individually, or you can download all of their fonts for only $2.77. You can preview the fonts on the text of your choice. 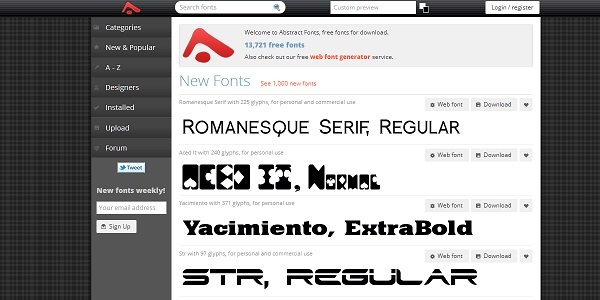 AbstractFonts has over 13 000 free fonts, a very good user interface and large, good-looking previews for all the fonts. 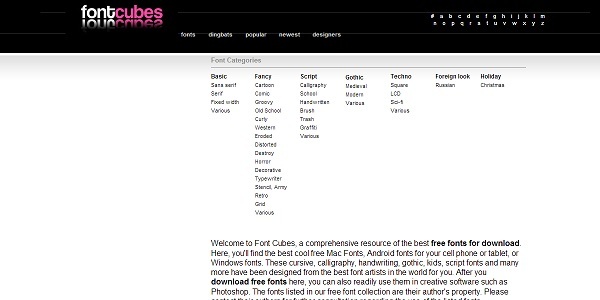 FontCubes is one of the best resources out there. The fonts are high quality and the site is easy to use and gives you a good idea of the available fonts, weights and styles. 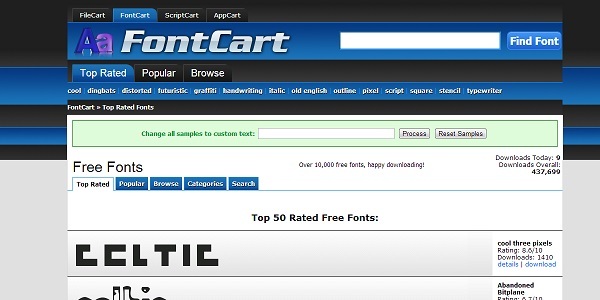 Fontcart has over 10 000 free fonts. The site is well designed and showcases the fonts well. 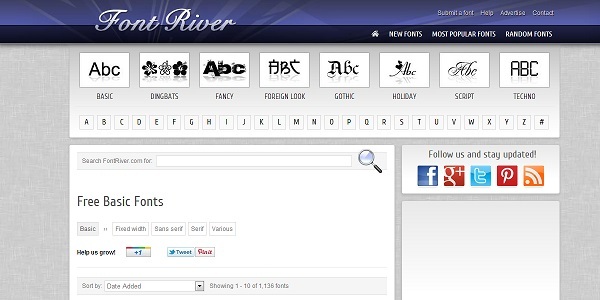 You can also browse fonts by top 50 downloaded and top rated. 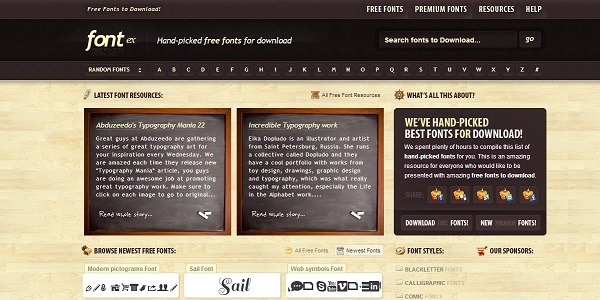 FFonts is a large site that has a lot of fonts that are grouped by category. 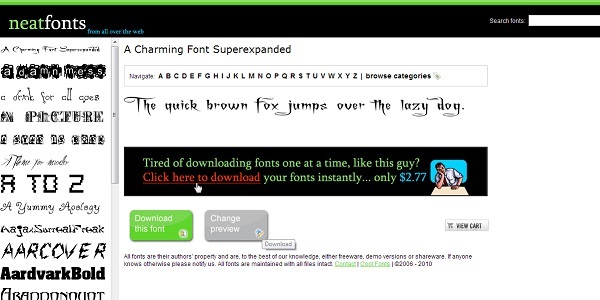 It also features the option to download 14 000 fonts with a single click for a fee of $29 per year. 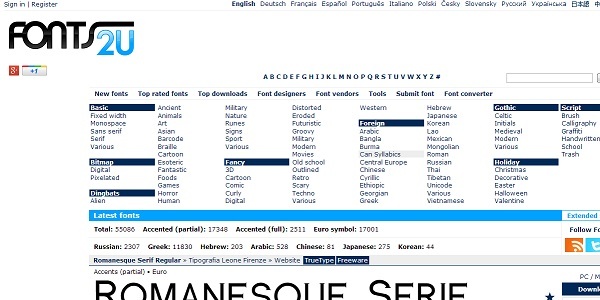 While it doesn’t offer fonts directly for download, FontLeech shows you cool fonts and tells you where you can go and download them. 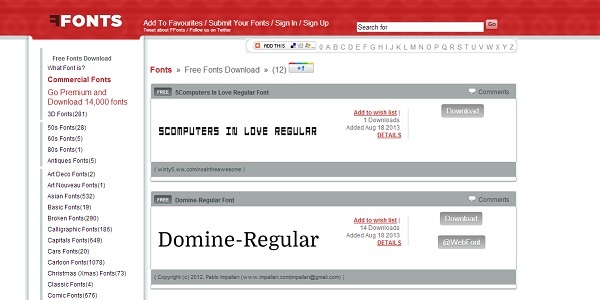 It’s a great font aggregator and you should give it a try. 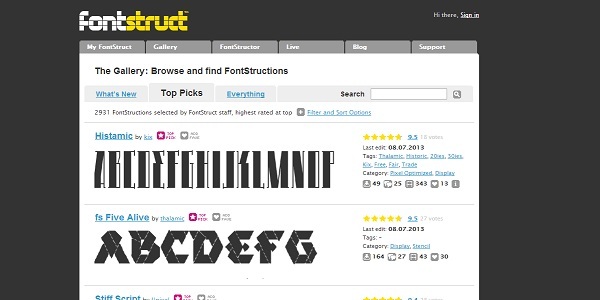 Not only is FontStruct a great download resource, but it’s a great tool for creating your own fonts online. It’s a great site and a must-visit! Please let us know what your experience with these sites has been in the comments section below! For more typography tips & tricks, do check out some of our other articles on the topic. 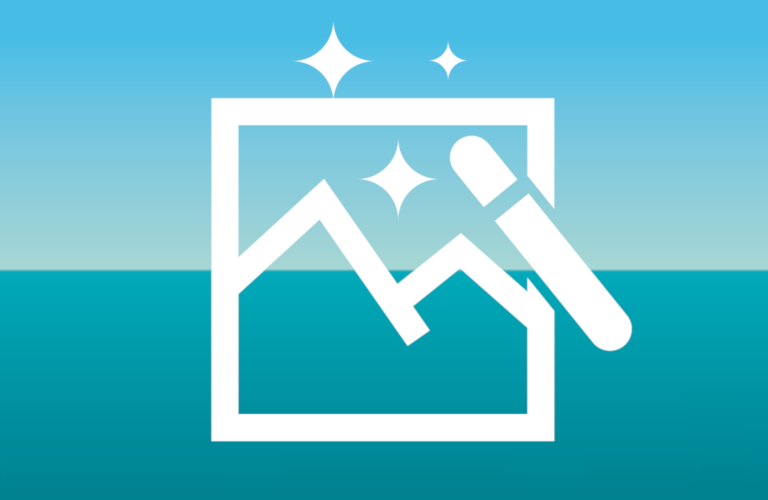 ← Winners of the NextendWeb.com Giveaway: 3 Smart Slider 2 Plugins! This is awesome! Thank you for the hard work putting this together and sharing with us!!! !